Four Pakistani American students from Rutgers University in New Jersey won the prestigious Hult Prize award on Sunday, securing $1 million in startup capital for their business, Roshni Rides. 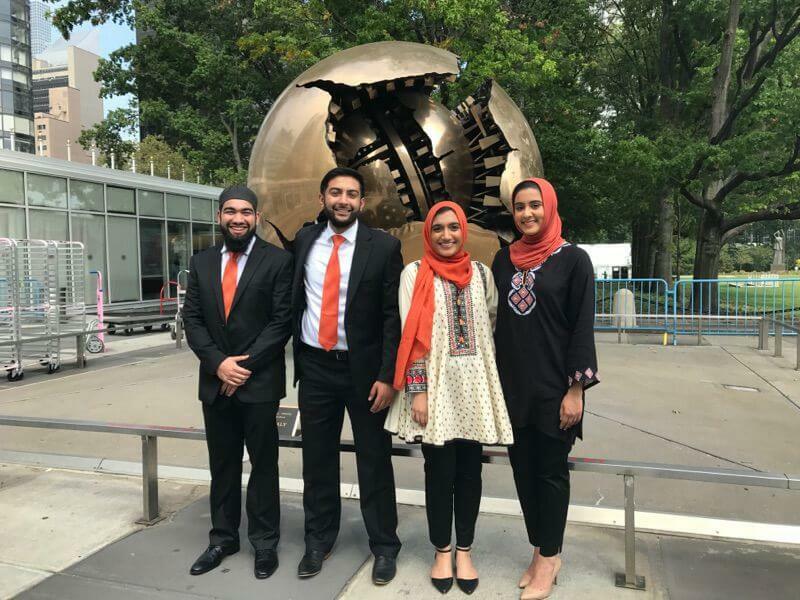 Gia Farooqi, Hanaa Lakhani, Hasan Usmani, and Moneeb Mian were presented the award by former US president Bill Clinton after winning the world’s largest such competition between students. The Hult Prize Foundation focuses on innovative ideas to tackle social challenges in the world, and students from around the world compete for the prestigious award. Roshni Rides is an e-rickshaw service that seeks to provide a transportation solution for refugees living in informal settlements around the world. The startup uses solar energy to remain cost efficient and promises to be more affordable and safe than other transport options.